Wellness Doctor offers Sunlighten Sauna therapy, the gold standard of far infrared saunas and the same brand used and recommended by the top authorities in the field of Functional Medicine including Dr. Mark Hyman, MD. Only Sunlighten offers proven "full spectrum" infrared technology with the highest level of effectiveness and has been clinically shown to effectively treat a number of chronic health conditions. Although the sun’s light spectrums and wavelengths have been studied starting in the early 1800’s, these have only recently been harnessed into skin penetrating far infrared (FIR) technology and even more recently (NIR) and mid (MIR) infrared wavelengths. A full spectrum sauna combines these three wavelengths while eliminating the ultraviolet rays that you’d get from the sun to provide some very powerful health benefits, ranging from weight reduction to decreased blood pressure, detoxification and even pain relief. For more information on this health promoting therapy, click here to read Dr. Kremer's past column in Paleo Magazine. Wellness Doctor also offers the combined Chromotherapy (color therapy) and Acoustic Resonance Therapy (A.R.T.) for the most relaxing, beneficial and therapeutic sauna treatment in Central Oregon. Clinical research on pain has shown evidence of heat responsive pain or HRP, which encompasses several common pain conditions that can be specifically treated with the use of our infrared heat therapy. Pain relief is best achieved through all three infrared spectrums. The shallowest penetrating wavelengths (NIR) penetrate just under the skin and increase the superficial circulation which aids in reducing inflammation, collagen stimulation, and wound healing. Mid infrared also reduces pain through much of the same means. Far Infrared is the deepest penetrating wavelength and enhances the deeper circulation and muscle relaxation. In a randomized, controlled study of 46 patients with chronic pain, a variety of treatments with and without the use of far infrared sauna therapy were tested. Both groups reported a decrease in pain, depression and anger, but the far infrared sauna group had much more significant decreases in all three areas. (3) Another study on patients with chronic pain in 2008 showed nearly a 70% decrease in pain after just one session! (4) In fact, Infrared saunas are commonly used for sports injuries, chronic fatigue syndrome, fibromyalgia, joint pain/stiffness and other chronic pain conditions. Through primarily the MIR and FIR spectrums, increased circulation and blood vessel dilation can be achieved ultimately improving tissue oxygenation and reducing both diastolic and systolic blood pressure. In a 2001 study performed with infrared solocarbon technology, systolic blood pressure was reduced on average from 130.5 to 124 over a six week period of three days per week at 30 minutes a session (2). There is also added component of an increased heartrate while in the infrared sauna which simulates a cardiovascular workout. The skin, our body's largest organ, is another area that shows significant results with the exposure to the shallow penetrating wavelengths found in the near infrared spectrum. A 12 week study on skin therapy, published in The Journal of Cosmetic and Laser Therapy, showed significant improvements in reduction in wrinkles, and improved skin tone, elasticity, and clarity with near–infrared technology. (5) While NIR shows the largest benefit regarding anti-aging properties, other benefits include reduced acne and other skin conditions including psoriasis and eczema through all three spectrums. Studies conducted by NASA concluded that Near Infrared LED light significantly promotes faster cell regeneration, wound healing and human tissue growth. Human cell growth increased by 155-171% in some cases while wound size decreased by 36%. Sunlighten infrared therapy stimulates the circulatory system, which causes more toxins to flow from the cellular level to the skins surface to improve cell health, aid in muscle recovery and strengthen the immune system. Although, not recommended as the sole method of weight loss (diet and exercise should also play a role) one half hour session in an infrared sauna significantly increases cellular metabolism and has been shown to be a very effective means in overall weight loss(1). The results are even more profound in those who are unable to exercise regularly due to arthritis or respiratory conditions preventing them from physical activity. Just a half hour of relaxing in an infrared sauna can burn up to 600 calories! This benefit is primarily achieved through MIR and FIR. Another component of weight loss with the FIR involves the detoxification of many toxins that are stored in fat cells which often prevent us from losing weight in the first place. The use of the deep penetrating Far Infrared spectrum aids in the effective means of detoxification. As the process of sweating is well known for naturally eliminating toxins, the advancement of FIR saunas allows us to eliminate 7 times more toxins than just sweating alone! The Environmental Protection Agency has shown that sauna therapy increases excretion of heavy metals (lead, mercury, cadmium) and fat-soluble chemicals like PCBs, PBBs, and HCBs. 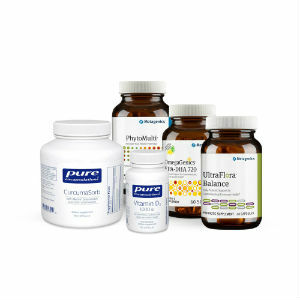 Overall, through improving your detoxification pathways, it makes sense that your body will function and feel better. This could be another column in itself. Further benefits in the area regarding immune function, although not yet a traditional approach, include reducing the frequency and severity of bacterial and viral infections. There is even more and more utilization of this technology showing promise in the treatment of many types of cancer. Aside from the obvious cancer treatment benefits through detoxification, The National Cancer Institute supports hyperthermia (also called thermal therapy or thermotherapy) is a type of cancer treatment in which body tissue is exposed to high temperatures. Research has shown that high temperatures can damage and kill cancer cells with minimal injury to normal tissues. (1) Richard Beever BSc, MD, CCFP. 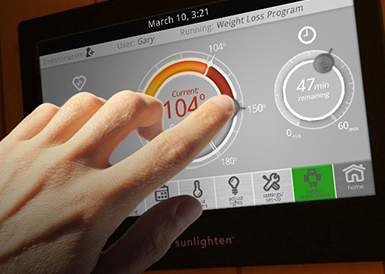 Do Far-Infrared Saunas have Cardiovascular Benefits in People with Type 2 Diabetes? Canadian Journal of Diabetes 2010; 34 (2) :113-118. (2) Edwards, B., Kort, H., and John Foxworthy. A Study of the Health Benefits of Far-Infared Sauna Therapy. University of Missouri, Kansas City. (3) Masuda A1, Koga Y, Hattanmaru M, Minagoe S, Tei C.; The Effects of Repeated Thermal Therapy for Patients with Chronic Pain. ; Psychotherapy and Psychosomatics. 2005;74(5):288-94. (4) Internal Medicine (Tokyo) Aug 15, 2008 by Matsushita K, Masuda A, Tei C. The First Department of Internal Medicine, Kagoshima University Hospital, Kagoshima, Japan. (5) B.A. Russell, N. Kellett & L.R. Reilly. Study to Determine the Efficacy of Combination LED Light Therapy (633nm and 830 nm) in Facial Skin Rejuvenation. Journal of Cosmetic and Laser Therapy, 2005; 7: pp 196-200. (6) Harry T. Whelan, Ellen V. Buchmann, Noel T. Whelan, Scott G. Turner, Vita Cevenini, Helen Stinson, Ron Ignatius, Todd Martin, Joan Cwiklinski, Glenn A. Meyer, Brian Hodgson Lisa Gould, Mary Kane, Gina Chen , James Caviness. NASA Light Emitting Diode Medical Applications From Deep Space to Deep Sea. CP552, Space Technology and Applications International Forum-2001, edited by M. S. El-Genk. Copyright 2001 American Institute of Physics 1-56396-980-7/01. (7) Margaret T.T.Wong-Riley, Huan Ling Liang, Janis T. Eells, Britton Chance, Michele M. Henry, Ellen Buchmann, Mary Kane, and Harry T. Whelan. Photobiomodulation Directly Benefits Primary Neurons Functionally Inactivated by Toxins: Role of Cytochrome C Oxidase. JBC Papers in Press. Published on November 22, 2004 as Manuscript M409650200. Copyright 2004 by The American Society for Biochemistry and Molecular Biology, Inc.